If there are any tools that you should not be without, it is a reliable flashlight, a lighter, and a good quality knife. Pocket knives are very useful. At some point in time, there are situations that you wished you had one handy. Whether you are doing some chores, or when engaged in outdoor activities like hiking, fishing, or camping. A knife is an essential tool as it can help you accomplish a variety of tasks. From opening boxes, envelopes, to food preparation, and for emergencies. Folding knives are best for everyday carry because they are discreet, compact, and more convenient to carry. The best pocket knives are well built using high-quality materials that makes it almost as tough as a fixed blade. In our list, we have selected knives with blades between 3.0″ and 4.0″ in length. Here are some of the best pocket knives that you should check out. Here are some of the things you need to know when shopping for the best EDC folding knives. 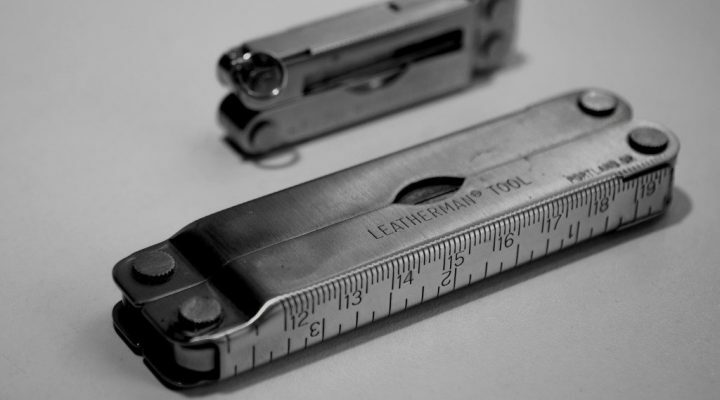 Blade – A blade length between 3.0″ to 4.0″ inches is ideal. 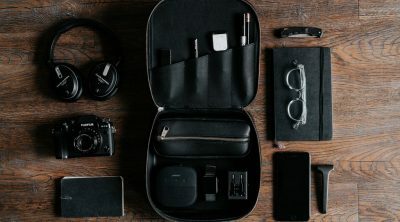 It is compact enough to be comfortably carried in the pockets. The blade material should be made from high quality stainless steel. The sharpest pocket knife uses premium stainless steel that is durable, corrosion resistant, and holds an edge, which means less frequent sharpening. Locking mechanism – Reliable locking mechanism is a must as you do not want the knife to fail during use. There are several types of locking mechanisms and the most common are lock back, liner lock, frame lock, or compression lock. There are also proprietary locking types from manufacturers like Spyderco’s compression lock and Benchmade’s AXIS lock which are commonly found in their popular knives. Kershaw Cryo II Blade: 3.25"
Spyderco Para Military 2 Blade: 3.4"
Benchmade Bugout 535 Blade: 3.24"
Zero Tolerance 0350 Blade: 3.25"
Benchmade Osborne 940-2 Blade: 3.4"
Benchmade Mini Crooked River Blade: 3.40"
Zero Tolerance 0562 Hinderer Blade: 3.50"
Ontario RAT 1 is a popular knife from the Ontario Knife Company and one of its top selling knives. 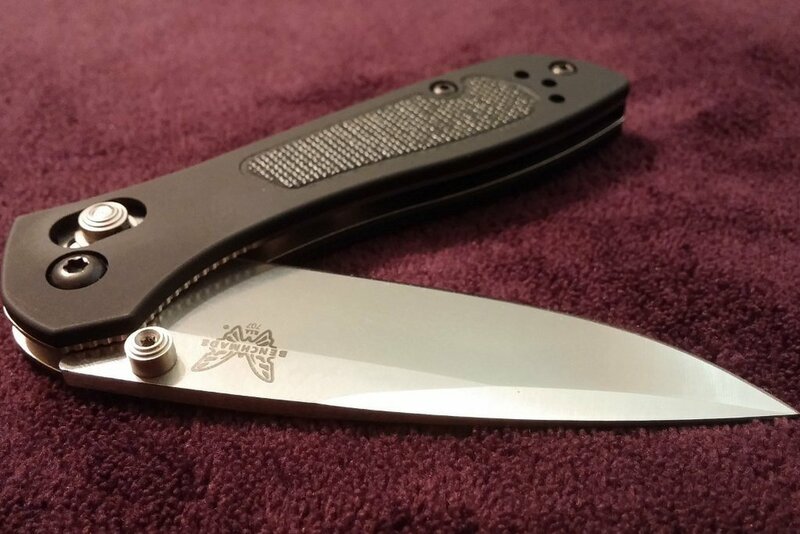 This folding knife is the bigger brother of RAT 2 and is our favorite budget knife. Ontario RAT 1 has a great blade shape useful for all around cutting tasks. The knife blade’s satin finished AUS-8 steel is easy to sharpen, has excellent corrosion resistance, and good edge retention. 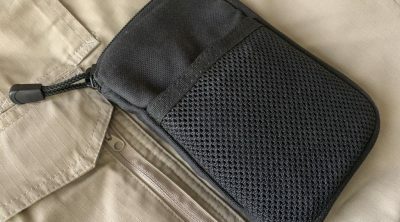 The ergonomic nylon handles are have a grippy textured pattern which aids in handling without being too aggressive as to roughen up the insides of your pocket. The knife has a slim profile and decent width which makes for a comfortable pocket carry. The four-way-clip provides decent retention and easy to change clip positions to suit your needs. This is a great knife for everyday carry and also well suited for outdoors activities. Campers and hunters will like this knife due to its size and versatile blade shape. Kershaw Cryo II is a folding knife designed by Rick Hinderer. It is a popular folding knife with a SpeedSafe assisted opening with flipper, secure framelock design, and stainless steel construction. The 3.25″ 8Cr13MoV steel blade and the handles both have Titanium carbo-nitride coating for improved durability. The four position deep carry pocket clip provides multiple options for carrying, and the sleek design makes it easy to carry in your pocket. Kershaw Cryo II is an inexpensive, entry level knife designed by a well-known custom knife maker. If you want a solid, well built, and inexpensive knife, Kershaw Cryo II is a good choice. 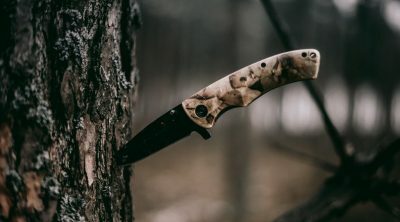 Spyderco is one of the best pocket knife brands today and the Spyderco Para Military 2 is a must have if you are looking for one of the best EDC folding knife there is. This is a tough knife, built for hard use, with a 3.4 inch blade made from CPM-S30V steel. The G-10 handle is very ergonomic and comfortable to use and the compression lock makes it easy to use the knife with one hand. The four-way clip makes it possible to carry the knife in different configurations. If you need a capable heavy duty knife for everyday carry, get yourself a Spyderco Para Military 2. Benchmade Bugout 535 is a slim, lightweight, and ergonomic folding knife which was designed for EDC and general outdoor use. It has a CPM-S30V drop point style blade which is good for all around cutting tasks. Blue anodized dual thumb studs makes it ambidextrous, and combined with the secure AXIS lock mechanism allows easy one-handed operation. 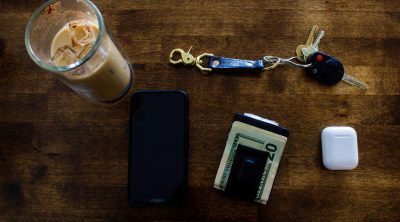 The slim Grivory handles has a textured pattern for added grip, and comes with an integrated lanyard hole, and a reversible deep-carry clip. Benchmade Bugout is the best lightweight pocket knife ideal for those who need a well built, good utility knife, that uses the best materials without the additional weight. Zero Tolerance 0350 is a high performance knife that features SpeedSafe assisted opening. Operating the knife with one-hand is easy to do using the ambidextrous thumb stud or flipper tab. The blade is CPM-S30V steel with a Tungsten DLC coating which makes it non-reflective and for additional durability. The handle material is black textured G10 scales for added grip, with thick stainless steel liners and a strong liner lock secures the blade during use. A pocket clip can be mounted in for different positions for the ideal carry comfort. Zero Tolerance 0350 is an outstanding knife with an excellent fit and finish. The Osborne design Benchmade 940-2 is one of the most popular knives from Benchmade. A perfect everyday carry pocket knife that has an S30V blade that features a reverse tanto blade design which is great for both piercing and cutting tasks. The blade design is well suited for rugged use when outdoors, or for general cutting tasks. The handle uses black G-10 scales and stainless steel liners. It makes use of Benchmade’s popular AXIS locking mechanism and when paired with the ambidextrous thumb studs makes it easy to flick the blade open. 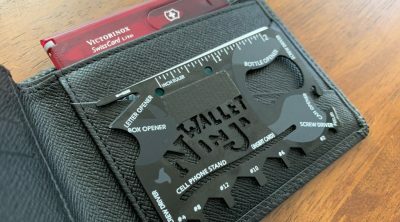 It also has a reversible pocket clip that allows for left or right handed carry. A knife designed by Nick Swan, Kizer Matanzas is a very slim everyday carry flipper knife. The well designed flipper tab barely protrudes from the top of the knife, and hidden by the handle when in use. This model has a CPM-S35VN steel drop point blade with a fuller groove and bead blasted finish. The blade steel has great edge retention and wear resistance. The handle has an all Titanium construction with carbon fiber inlay and blue anodized pivot collar, and has a frame lock with lock bar insert for a solid lockup when in use. This attention to detail makes the knife look sleek and modern. The pocket clip is set up for tip-up right handed carry. Kizer Matanzas is a beautiful knife with a great fit and finish. It is one of the best EDC folding knives to carry in the the workplace or for more formal occasions. Spyderco manufactures some of the best EDC knives and Spyderco Shaman is the larger version of the well regarded Spyderco Native. It a plain-edge CPM-S30V blade with a high saber grind and stonewashed finish. The handle uses skeletonized stainless steel liners and contoured G10 scales with matte finish that feels comfortable in the hand. The jimping across the spine and finger groove aids in grip. 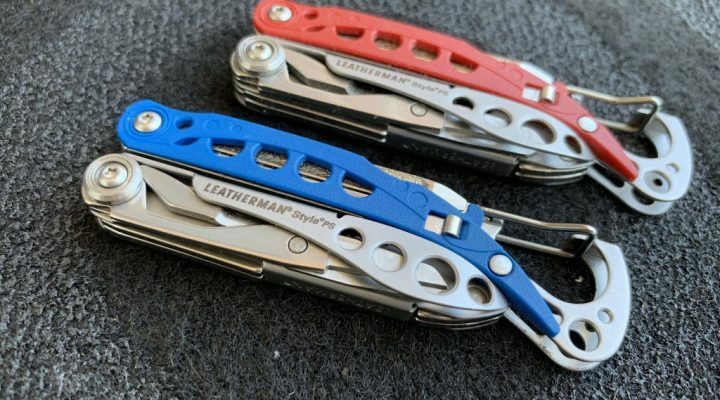 The compression lock mechanism is very solid when in use and the it is possible to use the stainless steel pocket clip in different positions based on your preferred way of carry. Spyderco Shaman is a fantastic knife with a beefy blade and perfect for those looking for large or sturdier EDC folding knife. S30V steel, strong compression lock, large blade, sturdy build, and excellent ergonomics. 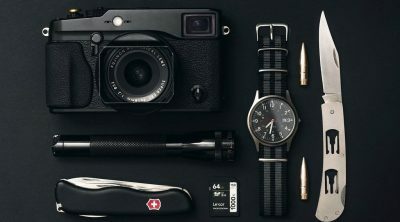 Perfect combination for the best EDC folding knife. Benchmade Mini Crooked River is a smaller everyday carry knife that features the same style as the larger Crooked River. The Mini Crooked River has a hunting knife design that uses modern materials in its construction. It has a premium CPM-S30V stainless steel blade with a clip point blade style. The handle has aluminum bolsters, stainless steel liners, contoured Dymondwood scales, and orange G-10 back spacer and pivot ring. It has the usual thumb-studs and AXIS lock mechanism for ambidextrous operation. Made by one of the good pocket knife brands, Benchmade Mini Crooked River is a very practical EDC knife that looks great with the combination of materials used. Designed by Rick Hinderer, Zero Tolerance 0562 has a classic drop point design that features a “slicer” grind blade for slicing efficiency and tough point. It is a big pocket knife with an S35VN steel blade with excellent hardness, edge retention, and corrosion resistance. The handle has textured G10 scales, stainless steel liners, and a stonewashed titanium back. ZT 0562 uses a framelock with lock bar inserts and stabilization. KVT ball bearing pivot allows for quick and smooth opening when using the flipper tab or thumb studs. The pocket clip is reversible and is unique as it is capable of extra-deep carry which hides the knife well when clipped to your pocket. Zero Tolerance 0562 is a well built knife, great to use, and owning one is worth it. Everyday carry knives are important tools to have. You will find it useful for a variety of situations, and having one readily available when needed is a must. In our list, we have listed the best EDC folding knives available and we hope that you found one that fits your needs. Which one did you get? Let us know by leaving a comment below!